Do you really need to step it up a notch while playing games in the casino? Virtual reality presents a new frontier to the online gaming industry. Virtual reality presents a new frontier to the online gaming industry. The first VR casinos were released in the dusk of 2015 and since then an increasing number of operators has embraced the technology. VR is gaining popularity quickly and eventually it might lead to a transformation of the online gaming industry. Virtual reality is already here, ready to use. Once launched, it will change the public perception of entertainment. Of course, VR technology will be subjected to heavy regulations which might limit its potential in the online gaming industry. Nevertheless, it will develop well enough to change the industry. 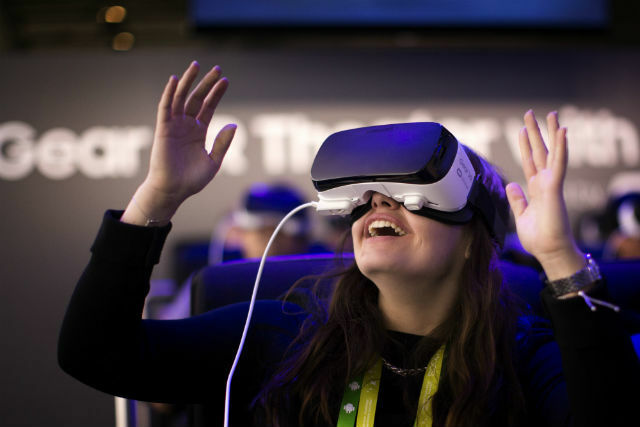 It is evident that VR is the inevitable future of the virtual casino entertainment industry. But, once introduced, how will it affect the virtual gaming business? Today, we will try to answer that. The first VR casino in the world was launched by online gaming giant SlotsMillion. This is a futuristic-themed online casino built on the 80th floor of a skyscraper with a vast collection of slot games. Further, not only can visitors play slots, but they can also sit at the bar, chat with other gamblers, and more. So, how did it happen that an online casino was able to utilise VR technology even before it was introduced to a wider public? SlotsMillion is a member of ALEA’s gigantic online gaming family. This is an innovative operator which was looking to attract a younger public back in 2014. And it did it in the best way possible by releasing a fully licensed VR casino. The fact that SlotsMillion is a licensed casino speaks for jurisdictions’ changing attitude towards VR. Still, there are apparently some new rules for VR casinos. For example, the Malta Gaming Authority—the jurisdiction which issued the license for SlotsMillion casino—has insisted that the VR casino has clocks, something which brick-and-mortar casinos lacked. What is more, the regulatory body has prohibited the operator from developing multi-player tournament platforms, as these would reveal gamblers’ cash balance. You see, the Malta Gaming Authority believes players’ bankroll and win/lose record should remain private. Overall, the launch of SlotsMillion VR casino has taught us something – VR casinos will have to weather greater regulatory measures the online gaming industry has ever faced. Is a VR revolution close? Without a doubt, the launch of SlotsMillion is unparalleled in terms of technological grandeur. Still, the casino does not enjoy immense popularity. That is because the technology needed to join the VR gaming realm is still too expensive for the mass public to purchase. To begin with, the cheapest VR headset on the market exceeds £430 and if that is not enough, the price for motion controllers is still unknown. On top of all, even if the average customer can afford to buy the headset plus the motion controllers, those do not work on any PC. So, to use the VR headset, consumers have to shell out at least another £1,000. Since the average gambler can not afford to purchase a VR headset, we will most likely see a boom in ranking of online casino sites that offer VR gaming experience only when the price for VR headsets drops permanently. Until then, the world’s first VR casino proposes an alternative – visit the casino in a 3D browser version. As technology advances, video gaming, gambling, and e-Sports are getting mixed. With VR, the boundaries might disappear completely. At present, social elements are introduced in casino games on a scale we have never seen before. Social casino games are incredibly popular in social media, accounting for billions of pounds in revenues each year. Once VR casinos become more popular, they will be a huge hit precisely because they allow players to interact with one another. It is important to remember that social gamblers are unlike traditional punters. In fact, there are tremendous boundaries between the two types of gamblers. For example, social gamblers view wagering more like gaming. Consequently, such players gamble not to win money, but to beat the opponent and the game itself. Finally, social players are not as risk-taking as traditional online casino gamblers. 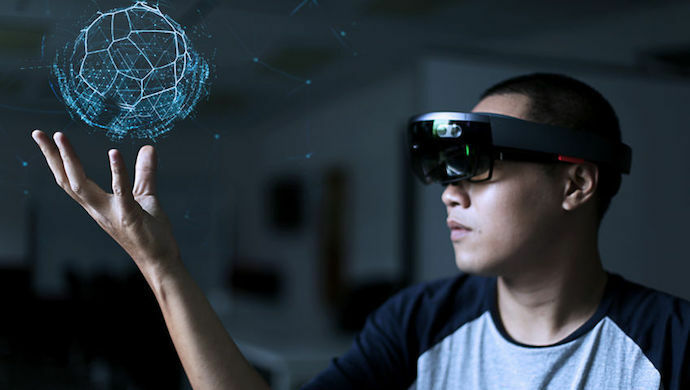 Last, but not least, VR technology can help not only online casinos – they can be actively used by brick-and-mortar gaming establishments as well. For example, land-based gaming establishments may launch VR versions of themselves on the web, which will gamblers from all over the globe to take advantage of the biggest Las Vegas casinos on the Strip. All in all, VR technology is the future of the gambling industry. The VR market currently amounts to about $7.7 billion; this figure is estimated to rise to $75 billion in the next three years. And yet, despite these figures, we are unlikely to witness the implementation of VR technology on a vast scale in online casinos, at least in the next few years. To read the latest guides, news, and features you can visit our Dota 2 Game Page.